How do we top the accomplishment of helping Team LeGrand exceed the $1,000,000 mark in 2017? We plan another evening that helps raise over $60,000 and pushes Eric a little closer to his new goal of $2,000,000 in 2018! Thank you doesn’t seem to cover all of you who came out and/or donated to support Team LeGrand! Many of you have heard the story of why we began planning a one-time event 6 years ago and how it has blossomed into this fantastic annual evening, but with each passing year, Newroads Financial Group is more and more impressed with the outstanding response members of our community show as soon as we mention Eric. The outpouring of support we receive for Team LeGrand and Eric’s mission to raise awareness for a spinal cord injury cure is inspiring, motivating and priceless. We were so grateful to watch so many immediately stand in support of our anonymous donor’s $5,200 match challenge. We barely got the request out before it was impossible to count how many of you were standing and we can’t forget those who donated to the challenge before the evening even began! Eric and Kyle left all of us with the feeling that a positive attitude and the support of their selfless families is everything behind their success! Hearing them share how they have learned not only to live, but to thrive despite their physical limitations is truly humbling. We bELieve when you do good things, good things happen, and Eric’s tireless efforts are the embodiment of that very belief. Team LeGrand, the Reeve Foundation and the Newroads team make an amazing Team together! The count of funds raised from this fantastic night totals just over $60,000 – the best year yet by well over $10,000! We continue to exceed our own expectations and the last six years have raised over $267,000 toward this wonderful cause. If anyone still wishes to contribute you may send a check to our office, payable to “Team LeGrand” at any time throughout the year! To see our full post event follow up and photos from the event, please visit our website: http://www.newroadsfinancial.com/eric-legrand or our Facebook page https://www.facebook.com/AnEveningWithEricLeGrand. You can also click the links below to view photos from the evening as well as read the article posted online by James Kratch, reporter for NJ Advance Media for NJ.com. All of us at Newroads enjoy every minute of planning and hosting this event! We are very proud of our team’s efforts and cannot wait to begin planning next year’s event! We look forward to having you help us reach even greater goals in 2019! A huge million dollar thank you to all of you who came out and/or donated to support Team LeGrand! Many of you have heard the story of why we began planning a one-time event 5 years ago and how it has blossomed into this fantastic annual evening, but pushing Eric’s foundation over the $1,000,000 fundraising mark, has overwhelmed our hearts! Eric, Mike Luciano and Mikey Nichols left all of us feeling the impossible is becoming possible with each passing day! Hearing them explain the bond between themselves and the way they all keep each other motivated toward their common goal is truly humbling. With each passing year, Newroads Financial Group is more and more impressed with the outstanding response members of our community show as soon as we mention Eric. 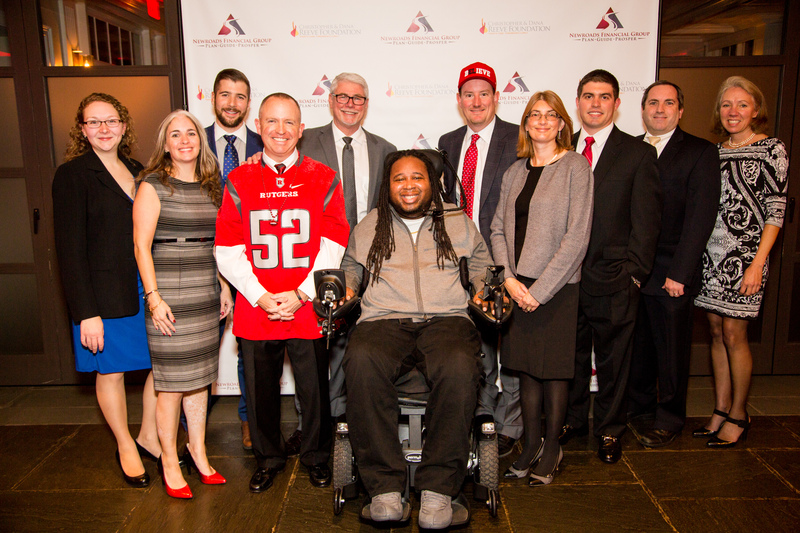 The outpouring of support we receive for Team LeGrand and Eric’s mission to raise awareness for a spinal cord injury cure is inspiring, motivating and priceless. We bELieve when you do good things, good things happen, and Eric’s tireless efforts are the embodiment of that very belief. Eric’s Team LeGrand, the Reeve Foundation’s team and the Newroads team make an amazing Team together! 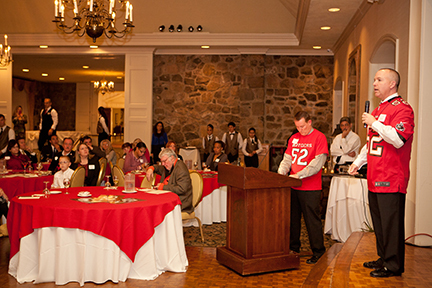 The count of funds raised from this fantastic night totals just over $50,000 – the best year yet! We continue to exceed our own expectations and the last five years have brought in over $207,000 toward this wonderful cause. If anyone still wishes to contribute you may send a check to our office, payable to “Team LeGrand” at any time throughout the year! 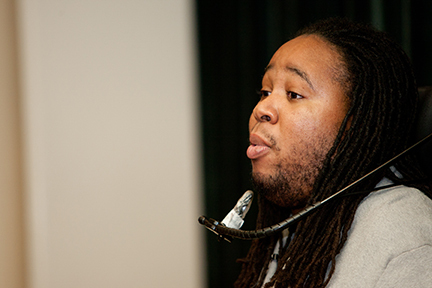 To see our full post event follow up and photos from the event, please visit our website: http://www.newroadsfinancial.com/eric-legrand or our Facebook page https://www.facebook.com/AnEveningWithEricLeGrand. You can also click the link below to view photos from the evening as well as read the article posted online by Ryan Dunleavy, reporter for NJ Advance Media for NJ.com. All of us at Newroads enjoy every minute of planning and hosting this event! We are very proud of our team’s efforts and cannot wait to begin planning next year’s event! We look forward to having you help us reach even greater goals in 2018 and truly hope to see you there! 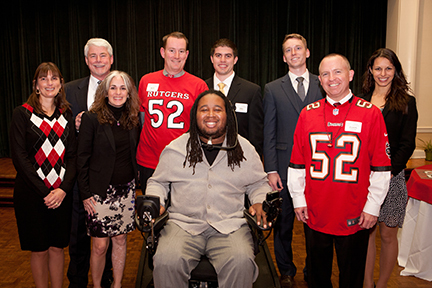 Once again, you have all made our annual “An Evening with Eric LeGrand” an enormous success! With each passing year, Newroads Financial Group is more and more impressed with the outstanding response members of our community show as soon as we mention Eric. The outpouring of support we receive for Team LeGrand and Eric’s mission to raise awareness for a spinal cord injury cure is inspiring, motivating and priceless. We bELieve when you do good things, good things happen, and Eric’s tireless efforts are the embodiment of that very belief. As President and CEO of The Christopher and Dana Reeve Foundation, Peter Wilderotter stated, he is making every effort to put the foundation “out of business” by finding a cure for spinal cord injury. A sneak peak of Eric’s new documentary series Mission Possible was a highlight of a very successful evening. It is inspiring to watch the dedication of everyone involved in the foundation and on Eric’s team, create motivation in everyone they meet to do their part in finding a cure. Eric’s Team LeGrand, the Reeve Foundation’s team and the Newroads team make an amazing Team together! The count of funds raised from this fantastic night totals almost $49,000! We continue to exceed our own expectations and the last four years have brought in over $157,000 toward this wonderful cause. If anyone still wishes to contribute you may send a check to our office, payable to “Team LeGrand” at any time throughout the year! To see our full post event follow up and photos from the event, please visit our website: http://www.newroadsfinancial.com/eric-legrand or our Facebook page https://www.facebook.com/AnEveningWithEricLeGrand. You can also click the link below to view photos from the evening as well as read the article posted online by Ryan Dunleavy, reporter for NJ Press Media. All of us at Newroads enjoy every minute of planning and hosting this event! We are very proud of our team’s efforts and cannot wait to begin planning next year’s event! We look forward to having you help us reach even greater goals in 2017 and truly hope to see you there! P.S. Newroads Financial Group is extremely proud to form lifelong relationships with our clients. It was very humbling to see so many of you in attendance. Additionally, there were many guests in attendance that we had not met previously. We tried to spend as much time as possible with each of you, but if we did not have a chance to speak with you, we hope that you felt welcomed and enjoyed yourselves. If you have any questions about what we do when we aren’t fundraising for Eric or supporting Rutgers sporting events, we would welcome the opportunity to take you through the “Newroads story.” Feel free to visit our website or reach out with an email or phone call. 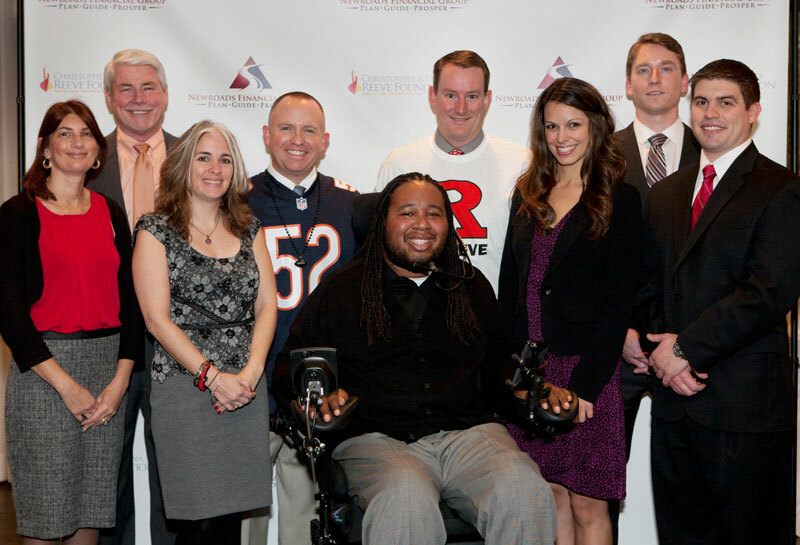 Thank you again for making our 3rd Annual An Evening with Eric LeGrand another enormous success! Newroads Financial Group was, once again, extremely pleased with the outpouring of support we received for Team LeGrand and Eric’s mission to raise awareness for a spinal cord injury cure. Eric’s inspiring speech left us all with even more hope that a cure is coming and he will be ready for it! Hearing from Eric’s therapist Buffy about the amazing tenacity and effort put into his recovery every single day is a testament to his positive attitude and the commitment of a wonderfully supportive team! 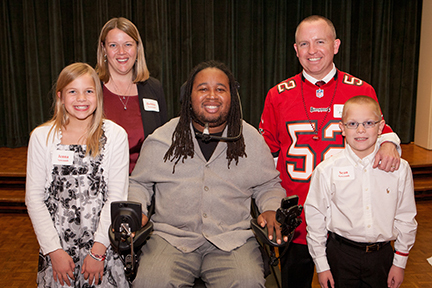 And this year we had additional special guests in attendance, Mikey Nichols and his mom, Christine. Mikey and Eric have formed a special bond since Mikey’s accident and the funds raised will undoubtedly fund future research that could benefit both Eric and Mikey. Eric’s team, the Reeve Foundation’s team and the Newroads team make an amazing Team together! As a result of your support of our joint efforts, we will be presenting Team LeGrand with a little over $40,000! Our goal was to reach the $100,000 mark for a combined total of our last three years and with your help, we’ve gone above and beyond our goal once again. Every year we have been able to exceed our own expectations with your generous support and we are so grateful! The last three years have brought in over $105,000 in donations to find a cure for spinal cord injuries. As always, The Reeve Foundation was wonderfully helpful and supportive. 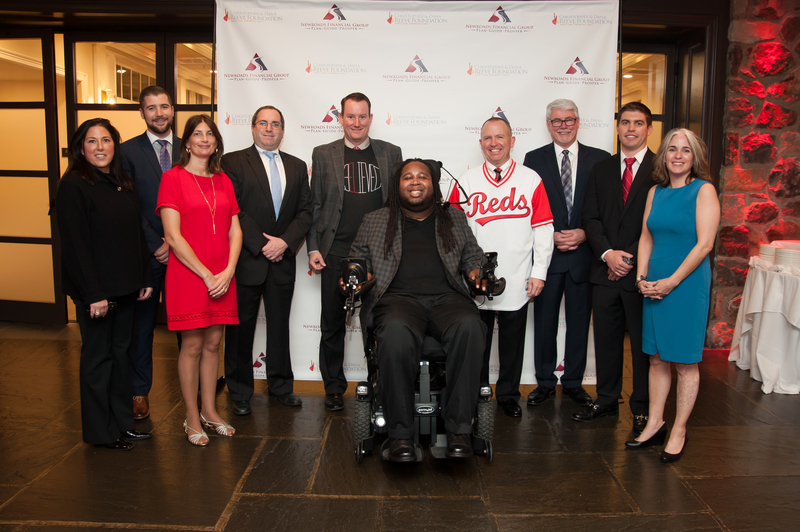 We were honored to have nine members of their team in attendance including President and CEO, Peter Wilderotter. Their assistance was invaluable and seen as a confirmation that we are doing our part, and as Peter said, to put them out of business by finding a cure. We want to send a very special thank you to all of you who attended, all who were unable to attend but generously sent in donations, those who forwarded our invitation to friends or colleagues you felt may have been interested or sent special notes of encouragement for us to pass along to Eric. An event of this nature requires a lot of time, phone calls, detailed planning and commitment to our goal. We are so grateful to have received so many encouraging well wishes for a successful evening. Newroads Financial Group is proud to form lifelong relationships with our clients. It was very humbling to see so many of you in attendance. Additionally, there were many guests in attendance that we had not met previously. We tried to spend as much time as possible with each of you, but if we did not have a chance to speak with you, we hope that you felt welcomed and enjoyed yourselves. If you have any questions or would like to learn more about our work and the “Newroads experience,” we would welcome the opportunity to speak with you – please call or e-mail us. Please click the link below to view photos from the evening as well as read the article posted online by Ryan Dunleavy, reporter for NJ Press Media. If anyone still wishes to contribute you may send a check to our office, payable to “Team LeGrand” at any time throughout the year! All of us at Newroads enjoyed every minute of planning and hosting this event! We are very proud of our team’s efforts and cannot wait to begin planning next year’s event! We have our sights set on even loftier goals and hope to see all of you there! 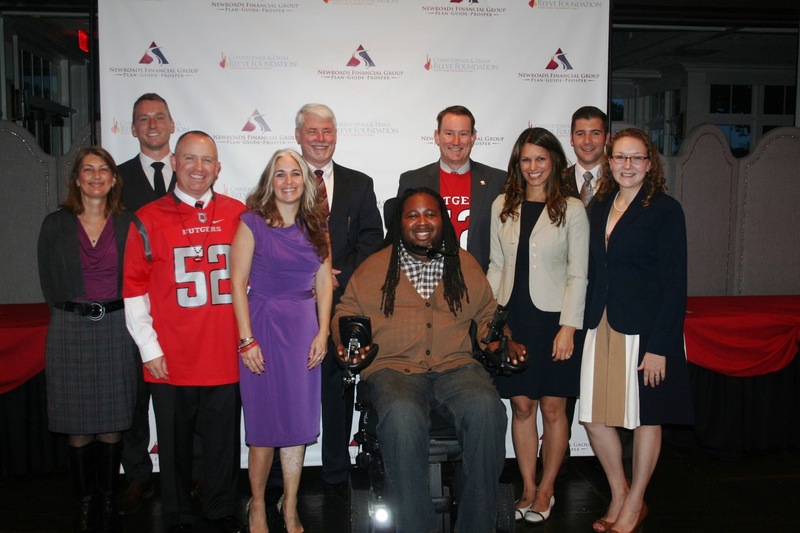 Our 2nd Annual An Evening with Eric LeGrand was an enormous success! Newroads Financial Group was, once again, extremely pleased with the outpouring of support we received for Team LeGrand and their mission to raise awareness for a spinal cord injury cure. Karen’s beautiful speech gave an insight as to where Eric’s positive attitude, strength and personable nature come from. Their devotion to each other is a testament to F.A.M.I.L.Y. (Forget About Me I Love You). Eric’s inspiring speech left us all with even more hope that a cure is coming and he will be ready for it! As a result of everyone’s support and our teams’ efforts we will be presenting Team LeGrand with a little over $40,000! We were certainly hoping to exceed our efforts from last year of just under $25,000 and with everyone’s generosity, we smashed that number! We continue to be asked for information about making additional donations and are hopeful this number will continue to climb. 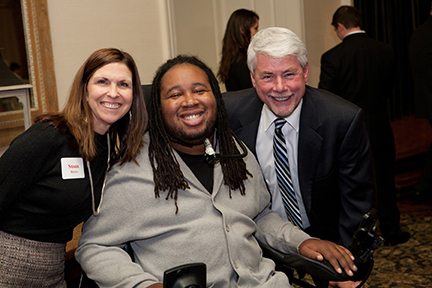 An Evening with Eric LeGrand was a fantastic success! 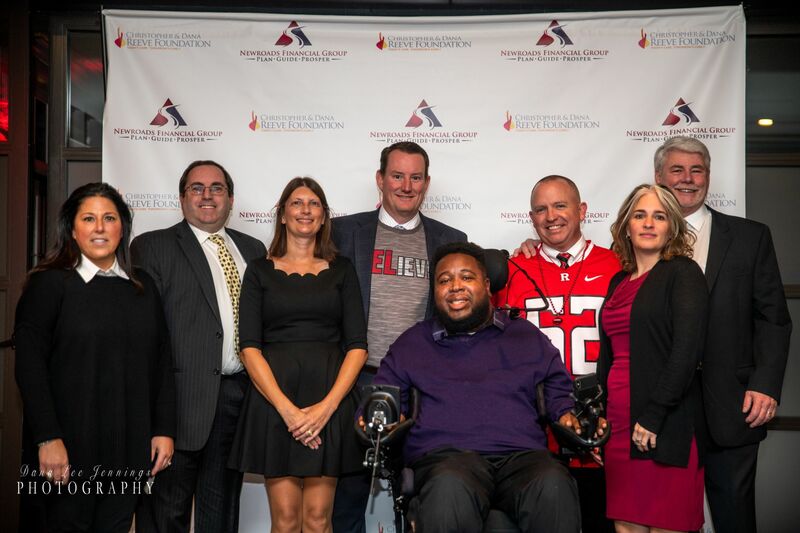 Newroads Financial Group was beyond thrilled with the outpouring of support we received for Eric and his mission to raise awareness for a spinal cord injury cure. We hope those of you who were there to witness Eric’s positive attitude, personable nature and inspiring speech left with not just a winning auction item but with a wonderful memory of an amazing evening. As a result of your generous support and our teams’ efforts we will be presenting Team LeGrand with a total donation of $24,250. 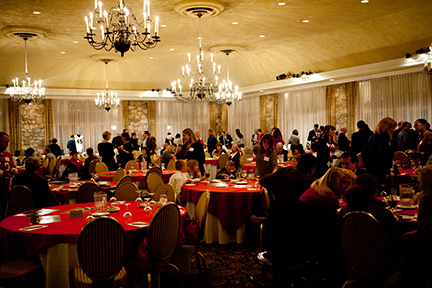 We want to send a very special thank you to all of you who attended and donated the many great auction items. We are so grateful to have received so many encouraging well wishes for a successful evening, including the compliments from The Reeve Foundation representatives, who attended the event. Newroads Financial Group is proud to form lifelong relationships with our clients. It was very humbling to see so many of you in attendance. Additionally, there were many guests in attendance that we had not met previously. We tried to spend as much time as possible with each of you, but if we did not have a chance to speak with you, we hope that you felt welcomed and enjoyed yourselves. If you have any questions, comments or feedback for us, we would welcome an email or phone call. Please click below to read an article written prior to the event. Please click below to read an article written summarizing the event as well as a brief video. All of us at Newroads enjoyed every minute of planning and hosting this event! We are very proud of our teams’ efforts and cannot wait to begin planning next year’s event! We hope to see all of you there along with even more guests and fun auction items!